Recently I've been trying my hardest to save money and cut down on spending, which has meant beauty splurges have kind of gone out the window. However, I do think it's fine to treat yourself every now and again, even if you're trying to save, and even better if you can do it whilst only spending a tenner and hunting out the bargains. I popped into Superdrug the other day and just couldn't resist getting my paws on a few of their cheapy makeup bits; Superdrug do such a great range of uber cheap make up collections; you've got MUA, Beauty UK, Collection 2000, Barry M, Miss Sporty, to name a few. So, I thought I'd show you guys what I bought for just over £10 when I was in Superdrug the other day, and what I think to the items I got so far. 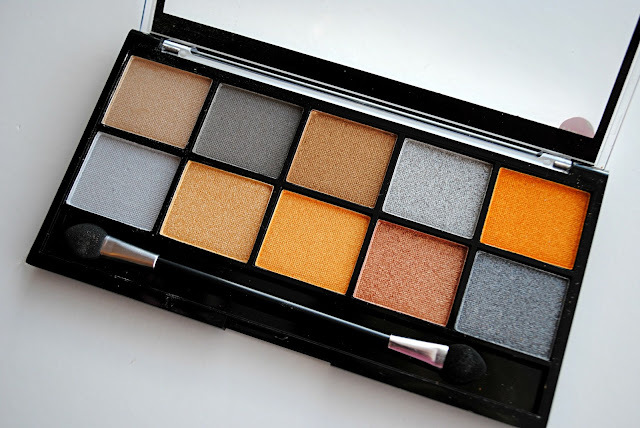 MUA Eyeshadow Palette in Going for Gold: I am a complete magpie when it comes to gold eyeshadows. They are my absolute favourite so when I see an eyeshadow palette laden with gold hues I just have to stop and stare. This one was no different. I've always been a fan of MUA's eyeshadow palettes, after repurchasing their 'Heaven and Earth' palette several times I think their shadows are really great quality for the mere £4 you spend on a palette. So, when I saw their 'Golding for Gold' palette I had to have it. Apparently it was made in conjunction with the London Olympics but it's passed me by until now. I'll admit, I was a bit put-off by the fact there are several silver shades which seem to have snuck onto this palette (surely it would have made sense to pair it with bronzes?) but other than that I really like the look of it. There are a couple of very bright, in-your-face gold shades which most definitely aren't for the faint-hearted, but I thought they were really interesting colours that you don't see often, and they reminded me of tropical holiday vibes so I thought 'Why not?!' They might look ridiculous on the eye for all I know, but only time will tell. If MUA's other palettes are anything to go by, I'm going to be suitably impressed with this little baby. 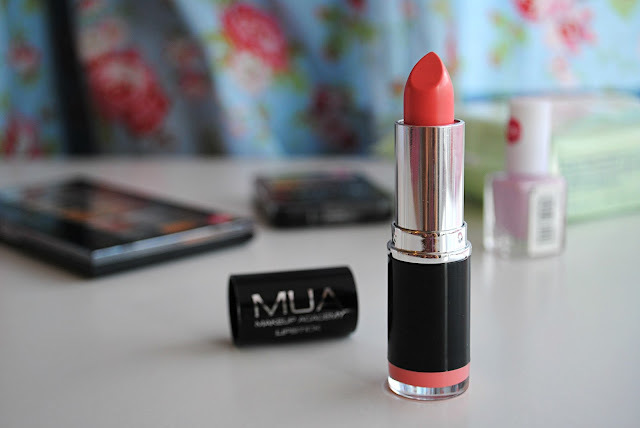 MUA Lipstick in Juicy: Another MUA purchase. When I saw this lipstick on the shelf I immediately picked it up and had to swatch. I was really amazed at how pigmented it was and as it is the perfect pinky coral, for a quid it had to be mine. I've since tried it and despite it having that signature cheap-lipstick smell and feel about it, it actually is really, really lovely on the lips. 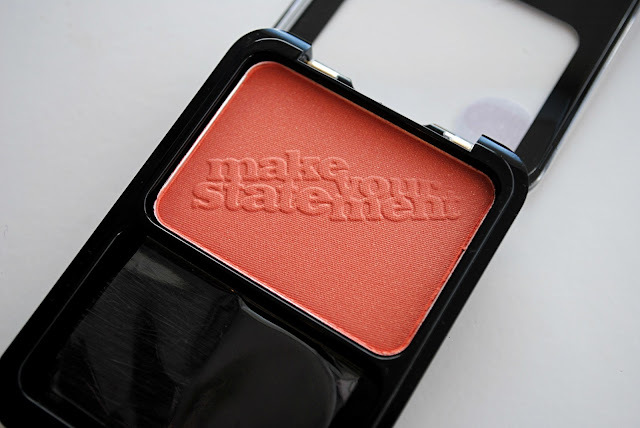 The formulation is moisturising and the colour pay-off is great, as well as being long-lasting. It's such a gorgeous colour that reminds me of several coral MAC lippies I have, so for £1 it is a seriously bargainous purchase. Love it. 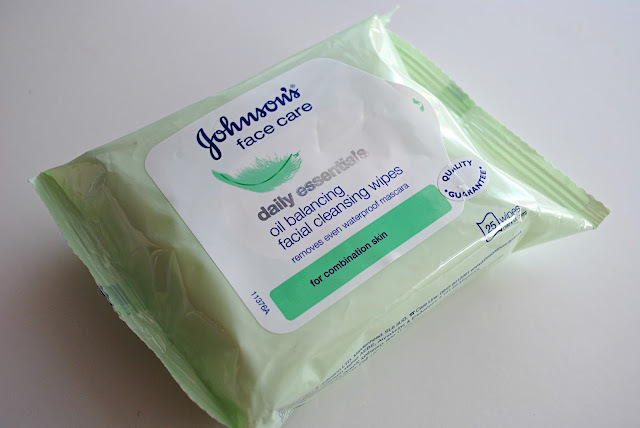 Johnson's Face Care Daily Essentials Oil Balancing Cleansing Wipes: Okay, so I know wipes are a skincare junkie's worst nightmare, but I actually find them really really handy. I wear heavy foundation and I always wear eye makeup, so it kind of goes without saying I need to remove my makeup with something before properly cleansing it. I find these wipes are great at removing my makeup and also leave my skin feeling really refreshed. They're targeted at oily skin which is great, but they also do them for other skin types, as well as a special 'night time' one that is scented with lavender - mhmm! These are currently on offer in Superdrug for £1.52, I only ever get them when they're on offer as I think they're around £3 to buy normally! MUA Nail Polish in Lush Lilac: I'll be honest, the main reason I picked up this nail polish originally was because the packaging reminded me so much of Essie nail polishes, which I adore. But, after trying it out, I am SO happy I got it. For £1, it is an absolute bargain. It's a really gorgeous, pale lilac with a hint of pink, which is going to be so perfect for over the summer. I love pastel nails so this totally gets my vote. I only saw a tiny selection of colours in my local Superdrug but I really hope they have a bigger selection as I would love to invest in more! I hope you liked my little mini haul! Have you been buying any beauty bargains recently?